Although parties for the mentioned events can get pretty big, it’s still possible to pull them off at home. That is, of course, if you take the time to plan and prepare accordingly. Your shutters will set the stage for the perfect event, but you’ll need to put in a little planning. Transforming your home from your living space to an event venue may be easier than you think. By selecting the right rentals, you can create an environment that makes your guests feel welcome and ready to enjoy the party. Excel rental offers a variety of party rental options including tables, chairs, linen rentals, and more. Each of these are available at a great price with exceptional service when you work with this company as well. You can even choose to add items like chocolate fountains, dance floors, and photo booths depending on the size and theme of your event. 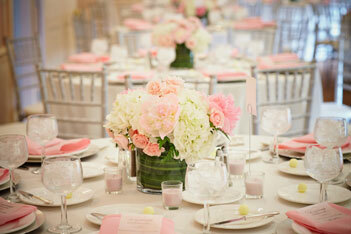 Florals are a great way to set the stage for a fun and fancy event at your home. Of course, they’re necessary for a wedding. However, they’re also a great way to go the extra mile for grad and holiday parties. Shana’s Floral Design is a Utah favorite for beautiful floral decor. This florist offers gorgeous arrangements for bouquets, centerpieces, and more. The culinary creations from Brown Brothers Catering are sure to wow your event attendees. You can choose from a variety of breakfast, lunch, dinner, and hors d’oeuvre options to keep attendees well-fed with fantastic dishes and an impressive presentation. Typically, you would think of photography as something reserved for weddings. However, it’s a great way to capture moments from grad parties and holiday celebrations as well. Jennifer Fauset Photography offers on and offsite options to help you create the perfect photos to remember important life events. You can choose a package for photos at a wedding, offsite engagements, or portraits for graduation announcements and around the house. If you’d prefer that a professional handle the details, Michelle Leo is the professional for the job! Each event she plans is truly one of a kind. Every detail is planned to perfection to ensure a consistent them among all event elements. If you’re still considering your options, UtahWeddings.com is your answer. This resource provides a full guide to planners, caterers, photographers, and rental companies. Here you’ll find the site links and information you need to streamline the process of price and product checking. Regardless of the occasion or event, your shutters will be sure to impress!